US and Canada-based OTT TV technology outfit Zone-TV is planning to tap the power of artificial intelligence to launch an OTT TV service with ‘linear-like’ channels that automatically schedule themselves according to the preference of the individual viewer. Zone-TV, formerly known as ES3, has acquired rights to about 70,000 shows not previously seen on TV to populate what it is describing as 14 ‘dynamic channels’. The group said that the channels would contain human-curated digital-first content but that the schedule of each would b3e modified by artificial intelligence in line with the tastes and interests of viewers. Twelve of the 14 channels will be segment ted by target age group and genre to serve people interested in food, gaming, specialty sports, outdoor adventure, kids, entertainment and other areas. Each channel will offer multiple simultaneous programme choices comprising digital content. Zone-TV will only be distributed via agreements with affiliated pay TV operators and the new breed of virtual operators, or VMVPDs in the current jargon. Each channel will offer viewers five simultaneous programme choices to personalise their feed, and viewers will also be able to move forwards or backwards within each stream to find a programme they want to watch. Subsequent programmes in the stream can change automatically to reflect the viewer’s preferences as mediated by artificial intelligence. Viewer preference from each of the thematic channels are captured and reflected in a ‘my-zone’ channel. This pulls content from the other dynamic channels and applies metatadata to determine a set of topics, emotions and interests to create a personalised feed. 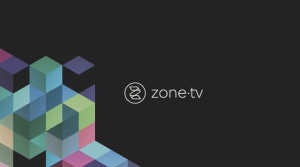 Zone-TV will offer a free channel to all subscribers of its affiliate operators containing a sample of the content found in its thematic channels and draw them in. Zone-TV says that the service will be delivered from the cloud by it and it will operate revenue-sharing agreements with operators that carry the service. The 12 thematic channels offered are male-interest service Mancave, outdoors-themed Great Outdoors, petrolhead channel Motors, eSports service Level Up, action sports channel Game On, factual service Inform, science channel Brainiac, comedy and arts channel Expression, culinary channel Foodies, lifestyle and fashion channel Styler, teenage girl-targeted Hangout and kids channel Playground. The other two channels are the my-zone personalised channel and the barker channel Zone-tv. ”This is revolutionary TV. It is the future of television viewing, Zone·tv is the first pay TV programming to utilise artificial intelligence to enhance a linear like channel. And most importantly it is truly dynamic in every sense of the word – for consumers, video producers and distributors,” said Jeff Weber, CEO of Zone-TV. Zone-TV’s predecessor company ES3 was created in 2001 in Pickering, Canada and provided IPTV application planning and services to companies including Bell Canada, AT&T, TiVo and Showtime. Weber, who was appointed CEO in 2015, was previously president of content and advertising at AT&T. The company, which offers a range of digital-first channels to operators in the North American market, tapped into technology from Ooyala and Microsoft earlier this year to prepare the dynamic channels offering. Zone-TV is using Ooyala’s media logistics tool and Microsoft Cognitive Services’ Video Indexer technology to automate the curation of its channels.